I can not remember a time during this creative journey that I haven’t admired and deeply respected the work and heart of Rebecca Sower. She is a prolific artist with a wide range of techniques and skills that she is dipping her hands in and the results are always beautiful. I had always hoped that Rebecca and I would have the opportunity to collaborate so it is with great joy I get to announce that Rebecca will be teaching on our creative network! Join me in welcoming Rebecca Sower to our creative community! Rebecca’s course, Draw and See, still has a few more hours for Early Registration. 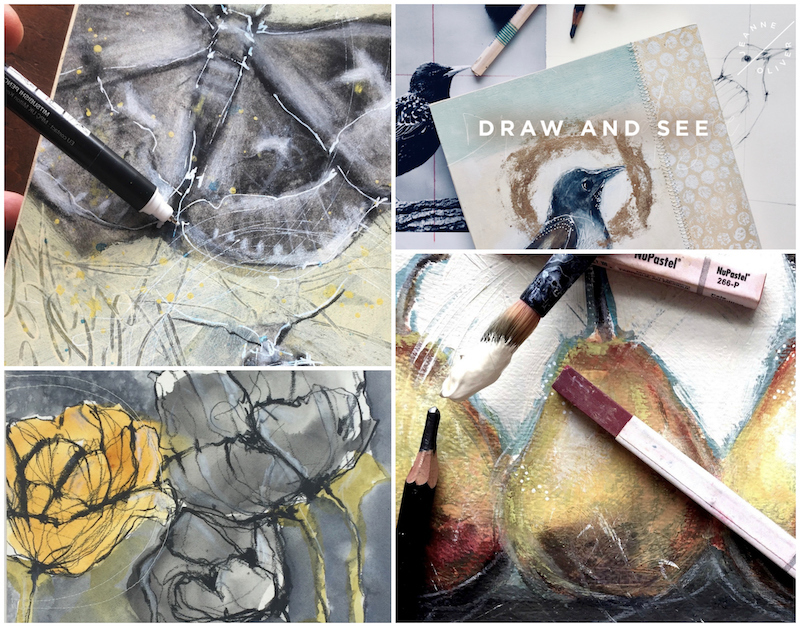 Early registration is about to end for Draw and See with Rebecca Sower! Four+ hours of course content, lifetime* access and an early registration price of $32. The price will change to $48 on August 10th @ 10 pm MST and the course will go live on September 10th, 2018. Learning to draw is really a matter of learning to see with an artist’s eyes. Anyone can develop the basic skills of drawing. Anyone! 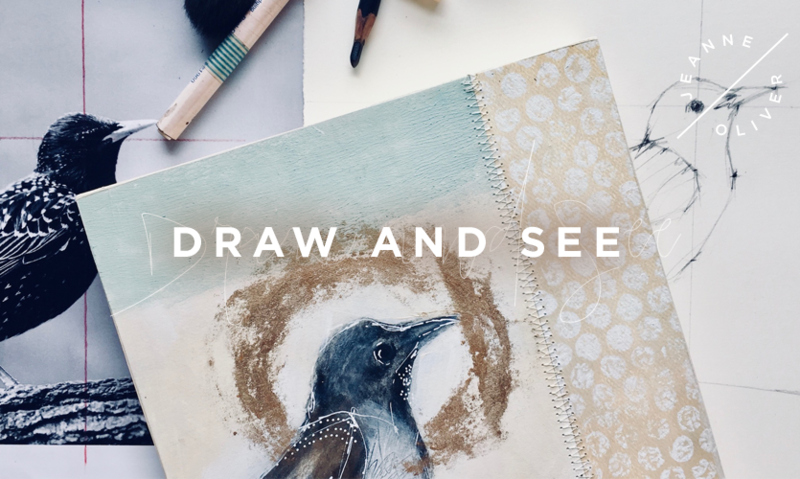 Draw and See is a course that’s for all levels of artists. In a friendly, non-technical way, I will lead you through several approaches to drawing. From edges and spaces to interesting line to creating movement, you’ll find yourself enjoying the process. Creating the drawing is just the beginning. 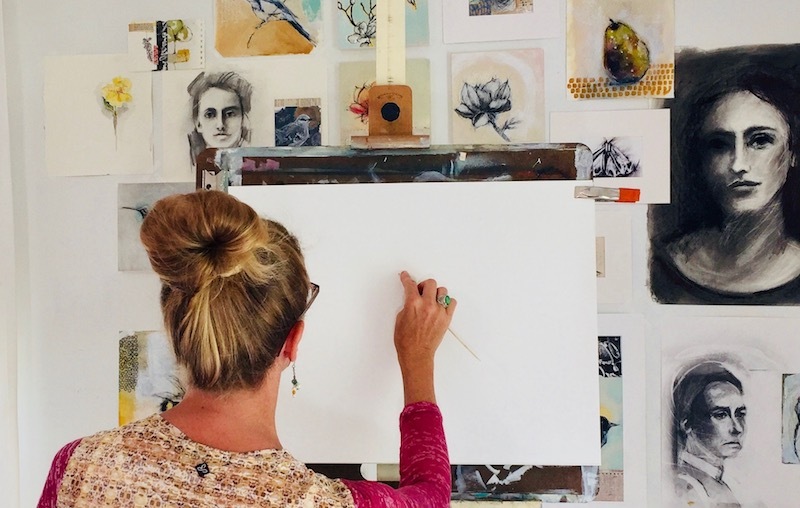 For each of six different drawing approaches, I will guide you through going further and finishing out the art piece incorporating mixed media paints, mediums , and techniques. You will end up with six art pieces of your very own that are ready to hang individually or as a group on the walls of your home.